Southern as Biscuits: Happy National Popcorn Day- I'm a Popcorn Fanatic Fan! 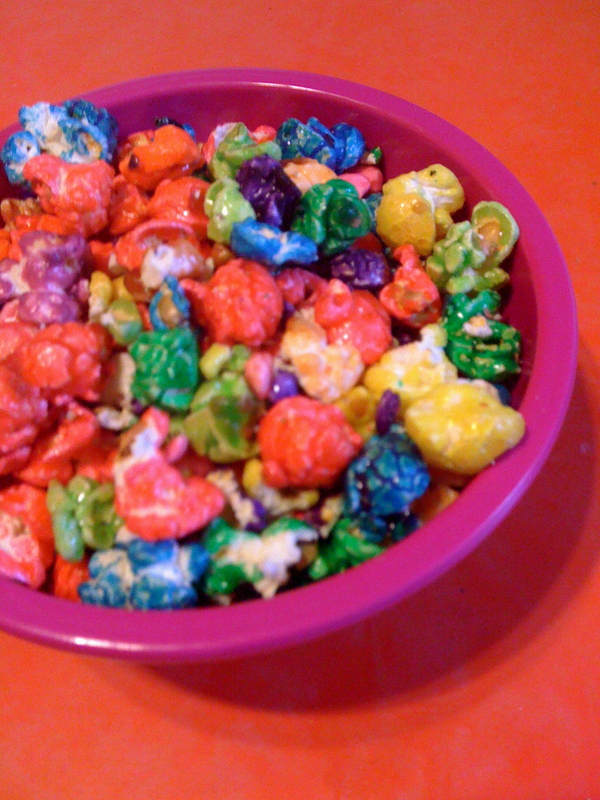 Happy National Popcorn Day- I'm a Popcorn Fanatic Fan! Now here's a holiday I can sink my teeth into: National Popcorn Day. We headed over to Popcorn Fanatic after school, where they are giving away warm bags of Chicago Mix popcorn: cheddar and caramel mixed. Of course, the kids had their eyes on something more colorful and sweeter. They couldn't agree, so we got a bag of confetti mix (all of the candy flavors mixed together). It looks akin to Fruity Pebbles. If we do a rainbow birthday party for one of the kids this year, I'm definitely getting it for party favors! It also might look interesting strung on a Christmas tree. FYI, my favorite candy flavor is the blueberry. As for me, I enjoyed the warm Chicago mix and got some pecan caramel for later. Go get your free bag and try something new! Blue cheese buffalo sounds interesting! Definitely! Yum! Caramel pecan popcorn for breakfast? Yes, please!